It was a moody evening on the Loch Broom shore and I was trying to catch the dark atmosphere. The small town of Ullapool lies on the eastern shore of the loch with a name derived either from the yellow gorse flower that I found also in Italy or from Scottish Gaelic, loch of rain showers. The rain wasn't a real shower but enough to drain any enthusiasm. Only a curious seal brought me a smile. Suddenly, the pipe sounds filled the air. Following the music, here is the story of a Scottish evening, full of singing and dancing, energetic or bored children. 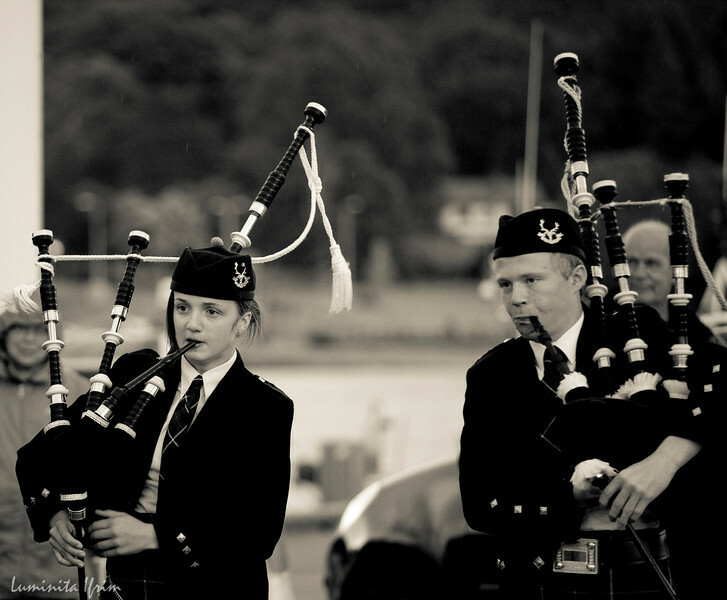 I've found after a year that they are quite famous and talented, Ullapool & District Junior Pipe Band.